Update 1: AT&T responds: It is not unusual for state attorneys general to participate in DOJ merger review proceedings or court filings. At the same time, we appreciate that 11 state attorneys general and hundreds of other local, state and federal officials are publicly supportive of our merger. We will continue to seek an expedited hearing on the DOJ’s complaint. On a parallel path, we have been and remain interested in a solution that addresses the DOJ’s issues with the T-Mobile merger. We remain confident that we’ll reach a successful conclusion and look forward to delivering the merger benefits of additional wireless network capacity to improve customer service, expanded LTE deployment to 55 million more Americans, $8 billion in additional investment, and a commitment to bring 5,000 wireless call center jobs back to the United States. This afternoon Attorneys General from seven states announced they will join the Department of Justice’s move into blocking the merger of AT&T and T-Mobile. AG’s from California, Illinois, Massachusetts, New York, Ohio, Pennsylvania and Washington have all signed onto the Department of Justice effort. Yeah Baby! Yeah! …Let’s do this and block this merge. Take some of that Heath Shuler you self serving douche bag ! He was extremely overrated as a quarterback and couldn’t even beat out a 6th round draft pick when he was the 2nd pick overall. Glad to see that Ohio has joined in the fight! But half of the state governors already support the buyout so this doesn’t mean anything. I was going to say the same thing. The article doesn’t even mention that. This is a T-Mobile enthusiast site so the picture will always be painted as more rosy whenever anyone or anything speaks out against the merger. I personally don’t care either way I just hope they settle soon so fanboys on both sides can get on with their lives. That’s not true, it didn’t mention it because I took the report from a Reuters story which didn’t mention it either. Would you call Reuters an enthusiast site? We’ve reported about the state governors as well so I’d hardly call our reporting rosy or glossed over. While it’s an enthusiast site for sure, we aren’t afraid to take T-Mobile to task when it’s necessary. We’ve reported both sides of this story with equal time and effort. Yup yup… David and TMoNews is more fair and balanced than Fox News claims to be. How dare you sir? How dare you… hahaha! I wasn’t trying to say that, I was just saying that we don’t ignore facts or stories intentionally. I never sugar coat just for the sake of doing so because this is a “fan” site. screw at&t. I don’t think people understand that if the buyout goes through at&t will raise everyone’s rates that is now on t-mobile and remove wifi calling and stunt and screw over the data plans and the prices for those. All those folks that say they have 5 gsm carriers in their area and don’t care if the buyout goes through…well you may have 4 or 5 but they are regional and not nationwide. at&t will screw all t-mobile people and their monthly payments. Don’t let this go through. However those 7 states make up 33% of the US population alone. The fact that California and New York oppose the deal is big, because they carry a lot of influence with them. And of course Texas is not going to support the DOJ on this, AT&T’s headquarters is there. So I wouldn’t say this doesn’t mean anything. pay for my data please! I know it’s just my OCD, but it’s Attorney’s General. Nope. It’s not. It’s Attorneys General. Like Surgeons General. No apostrophe. This is turning into big states (great service) vs small states (terrible service). If the DOJ can’t get support from the small states, they have no case. The DOJ is looking at this from a market to market and National level. Since the “Big” States make up most of the national population, YES they do have a case. 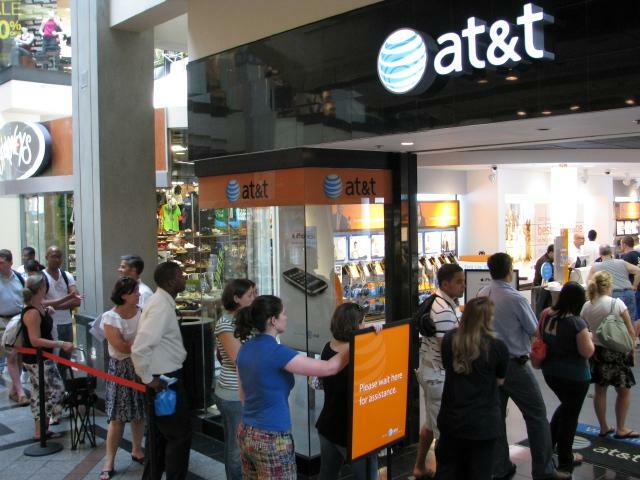 AT&T will easily win the case with small states that don’t have any mobile service. If 7 out of 50 states only agree with the DOJ, that is not a case. The other states don’t have to agree, or show their support. They don’t have a vote in the matter. This isn’t a bill that is going before Congress to be signed. This is a law suit, and as such a Judge will determine the fate of it. So again… yes it is a case. I think in fact there maybe a case number……. You just made the case for AT&T. Other states don’t agree. You just made the case for me, because you obviously can’t read. The DOJ does not need any states to win – it’s just a good thing to have. This isn’t a decision made on how many are “yes” and how many are “no”. ANY state that sides with the DOJ is a benefit in helping to bolster support for the DOJ. The DOJ doesn’t need states to win but AT&T/DT does. 43 out of 50 states is a easy argument. Seriously? You really think that the number of AGs that support AT&T has a bearing on the trial? BTW – where do you get the number 43? I don’t see any evidence that 43 states AG’s are siding with AT&T. Read the title of this article. I never said the trial. I responded to this article. Read your own reply.. You said the DOJ has no case. Does this mean you don’t know what a case is?? On this article alone the DOJ don’t have a case. Its plenty of T-Mobile customers that service is not strong in small states. Well then you are really misguided. This article has no bearing on the case. So you really don’t know what you’re talking about. I’m glad to be from beantown. Go file 11-65. Wish Colorado was one of the states to jump in! Me too! In fact, I wish ALL states would jump in! our governor screwed us he sent a letter in support and he lost my vote along with everyone in my family because of it. This f’n merger is over…. But t-mobile is in a tight spot. DT had no plan B. What kind of company is dumb enough to put all their eggs in one basket? I like T-mobile and hope a different buyer comes thru that will keep prices low and focus back on the customer and employees. I agree that the takeover will probably be blocked. Unforunately DT’s plan B is “Dump T-Mobile ASAP”. I doubt that if even if anyone actually does come along and wants to purchase T-Mobile as a whole that they would (or could) keep the prices at current levels. They’re going to need to spend a lot of money on the network if they want to be competitive vs AT&T and Verizon, not to mention the fact that they need to start recouping what they’ll spend on buying it. Think about all of the work DT is doing with AT&T to plan divestitures if the deal does go through. We can sell of this to these guys, that to these other guys, this over here… Don’t think all of that will go out the window if the deal fails. DT will have in place plans to piecemeal out what was once T-Mobile. Why? Because they said they’re going to leave no matter what? This from the same guys who lied before saying T-mobile would never be sold. If you didn’t believe them then, why would you believe what they say now? I’m going to call my MO attorney general now and tell him to jump on the wagon. IIt’s like Good (Tmobile) vs. Evil (At&t). Hopefully the outcome is good because I will not join the darkside. Sadly the Good will be leaving us whether Evil wins or not. I agree… except maybe for Cox cable. They are just as bad as At&t in my opinion. The Good say they are leaving to help push through the merger. The Good also said in February that T-mobile would never be sold. They say what benefits them at the time and not what is factual. About time the State of aWashington got in on this…it took thema lot longer than I expected given that T-Mobile is based just outside of Seattle. all of yall are stupid if yall think the mereger wil not happen open ur fkn eyes people the doj wants mone and at&t has it and will pay under the table to get what they want, they have asked the president to decide the outcome so he will say yes because this wil create more jobs in the U.S yall people are some idiots this one guy on here talking about he gone call hia attourney general and tell him to jump on the band wagon for what? to be dissapointed ………………..
Nice post. I love being called stupid by someone who has such wonderful grammar, command of the English language and the ability to spell. I don’t mind being “disappointed” if my efforts do not yield results. But I will not sit on my backside with a defeatist attitude. Even if this did not work out I would feel happy that I did something. For your kind information the matter is before the court and even if the President asks Holder to withdraw the case can still go ahead. In the past there was a case against the tobacco companies by the Anti-trust. The feds withdrew but the states continued. They lost but it delayed the merger by 18 more months. The chances of settlement are very poor now. In fact when the states joined Sprint stock went up more than the market indicating the market thinks a merger is less likely to happen. I am proud to be living in Chicago. Our AG says no way. So to respond to bad grammer guy, you do know where our president is from ? Right? Lol! I just watched that movie the other night. He did remind me a bit of Gump. Ohio’s role in this is significant since DeWine is a lockstep Republican. He happily let the Team Party get him into office. For him to join those opposing the takeover while representing a state in the back pocket of Wall Street really says something about this whole deal. I greatly dislike AG DeWine, but when I read his statement against the takeover I cheered. Sprint doesn’t care about consumer choice or wireless competition in general. They only care about their own skin and feel extremely threatened by the proposed combination of AT&T and T-Mobile. If Sprint was only concerned about competition and the American economy they would have been fighting so publicly hard all along. This public display by Sprint is the most desperate move I’ve ever seen them make. Sprint was allowed to swallow Nextel for $49 billion and was trying to swallow T-Mobile USA. Clearly Sprint has a case of sour grapes thus the heightened political rhetoric and constant negative comments. They are total hypocrites to the principles they pretend to represent. Sprint has the perfect opportunity to capitalize on AT&T’s distraction by advertising cheaper unlimited plans and better phones but so far they are pouring all their $$$ into this supposed life or death merger looming on the horizon. Sprint needs to focus on their customers, their network and their business. I agree that Sprint is full of you know what. I’m not really into the whole AT&T merger thing but I can still call Sprint out for what she’s trying to present herself as to the public. But people are dumb and eat this stuff up so Sprint has no incentive to stop. They want to look like the good guy in this whole drama (savior of the welfare state) but when it comes down to it they’re really afraid for their own survival. I hope it gets blocked and i wish Google would buy TMO…. Is this a racial or class thing? Are blacks more economically affected by the buyout than whites? I’m for this merger, it’s a good idea. Just let it be, and get out of their business. Better coverage for T-Mobile customers, and the Iphone. All of us poor downtrodden T-Mobile customers are just suffering with each passing day that they don’t get the iPhone. That will no longer be a talking point when T-Mobile gets the iPhone paired with their great plans. Awaiting to hear what else we are missing out on. Save that for yourself. I for one never cared for the iPhone. I am spoiled by Android. I’m with you on that one, the iPhone is overrated. Android all the way!!!!! I don’t see how everyone is so brain washed into thinking that the iPhone is this planets best phone, it has been losing out to the Android phones for a while now. R.I.P. iPhone, lol! Someone is an idiot for having a different option than you? Argue with facts and you won’t sound like an idiot yourself. Don’t like the coverage crying for an iphone you have a choice of a different carrier that what this is all about. 11 years and very happy with tmobile. They have brought inovation and have made the other carriiers to keep advancing their product. Screw the iphone and screw you!! AT&T is trying to get their monopoly back like in the 80’s and they don’t care who they buy off (like you obviously) with their lies about future jobs. It’s all a bunch of lies, there are gonna be more lost jobs than new jobs. They don’t care as long as they get what they want. They don’t need T-Mobile to improve their network, they just need to use the resources they already have. at&t is so phony. If they don’t care what these states think why did they lobby hard to get their support??? Maybe at&t can find another organization like the Filipino American Arts Exposition to parrot the same-old talking points to try and convince us that up is down and black is white. Of the 11 state attorneys mentioned how many were paid by AT&T? Wasn’t it all? How many politicians did Sprint pay? Sprint is right up there near the top of lobbying Congress to side with them. The possibilities for any settlement at the point are remote. Under the Dept. of Justice’s antitrust guidelines, any settlement must replace the competition T-Mobile currently brings to the marketplace as a national carrier. In other words, if T-Mobile is going to be swallowed up by AT&T, a new fourth national carrier with the same market power as T-Mobile must be created to take its place. Does anyone seriously believe that’s likely? Keep in mind, that any settlement would have to be agreed to not only by the U.S. Department of Justice, but also seven state attorneys general plus Sprint. And after that, the law requires that a federal judge must approve a settlement. At Sprint, we have said from the beginning that there is no possible way to restructure this anti-competitive transaction into something that would make it lawful. Last night, Sprint filed motions in Federal Court asking the judge to hear our case against AT&T in a coordinated proceeding as part of the DOJ complaint. Sprint’s attorneys will be in court on Sept 21 to discuss these motions with the judge. At Sprint, we are committed to continue our advocacy on behalf of consumers and competition, and we expect with our lawsuit, that we will contribute our expertise and resources in proving that this transaction is illegal.